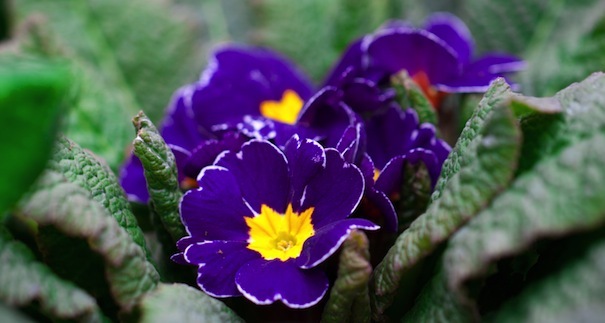 To add a pop of colour to dingy winter days, why not plant a cluster of primroses in a brightly patterned pot or bowl and place them by your door – they’ll bring a smile to your face on even the dullest day. Primroses kept in the house can be planted out into the garden to flower again next year once they’ve finished flowering. There’s plenty of life left in indoor houseplants – your Christmas poinsettia will stay red and true throughout January and February, as long as it’s kept in a warm and draught-free spot. Cyclamens will give you colour right through to Easter, and don’t forget azaleas, miniature roses and kalanchoes. Make the most of the dim winter light by putting a pot of Tete-a-Tete narcissi or hyacinths on a windowsill – they make you feel spring is just round the corner and they’re far cheaper than a bunch of flowers and much longer lasting. With spring still a good couple of months off, now is the time to start planning what you’re going to do in the garden. If you’re starting a new vegetable plot, a thorough plan will allow you to enjoy the fruits of your labour for the whole of the coming year. Get out the seed catalogues and decide what varieties you want to grow – it’s always worth looking at what new varieties are available. Using a crop rotation system seems to get the best from your plot – a four-year plan featuring potatoes, brassicas, legumes and roots is the time-honoured way. Draw – and keep! – a diagram so you don’t forget what’s going where each year. Seed potatoes arrive in garden centres at the start of the New Year. Get them in January if possible as the most popular varieties soon sell out. There are so many varieties available now including the Albert Bartlett range and also some more unusual varieties – check out lovepotatoes.co.uk to discover which varieties are best for different ways of cooking. Once you get your potatoes home, put them in old egg trays to chit (form shoots) and place them in a light, cool and frost-free environment. Onion sets, shallots, asparagus and garlic should all be available from the middle of February. If the weather is good enough, finish any jobs that weren’t done before Christmas, especially clearing up leaves and debris. Trim old leaves away from hellebores will make it easier to see the flowers as well as preventing the spread of disease. Prune wisteria – cut back the previous year’s growth to two or three buds. If there’s no frost in the ground, you can mulch plants ready for spring growth in a few weeks time. If it’s cold and frosty, make sure you keep any vulnerable plants protected with fleece. If we get some heavy snow, it’s worth brushing off conifers and hedges to stop the weight of the snowfall splitting them open. Remember to make sure outdoor taps are lagged and covered over to prevent any cracking and leaks caused by freezing. If you haven’t used winter wash on your fruit trees yet, do so on a mild day before the buds start to burst, to remove any pests and their eggs. Make sure you have a grease band wrapped round the stems; this can be kept on all year round to catch any pests climbing up the tree. Prune apples and pears if you haven’t already done so – cut out any crossing or rubbing branches to prevent disease spread. Never prune stone fruit (cherries, plums and so on) in winter as it encourages disease. While you have very little in your greenhouse, now is the ideal time to give it a thorough going over. Remove as much as possible from the greenhouse; wash down any staging, seed trays and pots with a good detergent or greenhouse disinfectant. Then wash down the glass with a detergent or disinfectant to remove any algae, pests and overwintering eggs. The greenhouse can then be fumigated with a sulphur candle to clear up any residual pests that might cause problems later. A clean, pest-free greenhouse allows you to provide the very best start for the new year’s seeds and plants. Keep your eyes peeled for signs of colour in your garden. Plants such as hamamelis (witch hazel), winter flowering jasmine and hellebores all herald the onset of spring – once you spot blooms on them, you can look forward to the garden bursting back into life. Don’t forget our feathered friends, especially if the weather is poor – peanuts, seeds, fat balls and feeders will go down well. Clean off bird tables regularly and remember to put out fresh water daily – it you place it at ground level, other wildlife can access it, too. If you have a pond, melt any ice by carefully placing a hot saucepan on top – pouring boiling water onto it could harm fish. Check any bonfires for sheltering hedgehogs and toads. This month’s tips are provided by Ann Winwood of Lealan Garden Centre, Shipley.